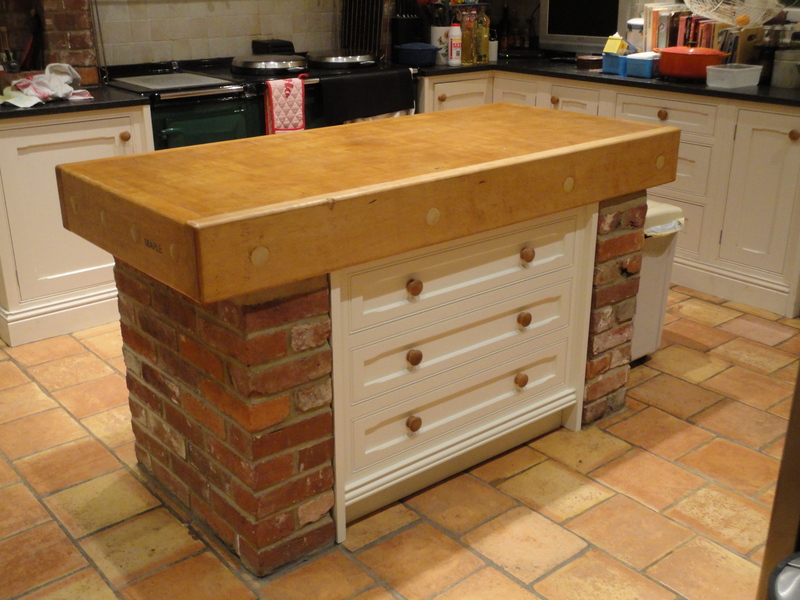 Previous clients from Seddlescombe East Sussex required a drawer unit to fit under the butchers block in their kitchen. The design needed to match their other hand made kitchen furniture. 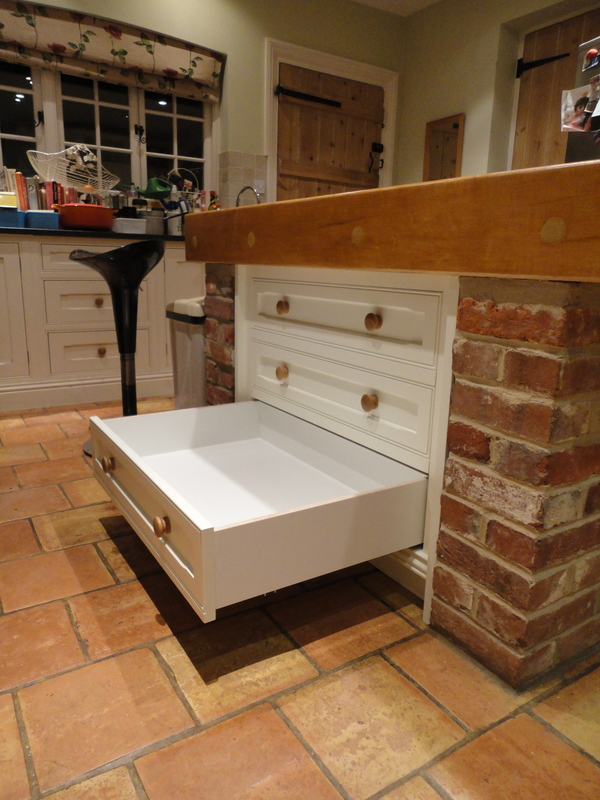 The drawers were to be suspended on soft close runners. On the opposite side of the drawer chest, the back had false fronts to give interest. After careful measuring and use of templates the chest of drawers were made, spray painted and installed, with top, sides and plinth being scribed to the adjacent surfaces. The whole piece tied in very well with the existing kitchen. If you wish to leave comments please do so.